SPOLOČENSKÉ HRY | Fallout Board Game Monopoly EN - spoločenská hra | Funtastic.sk - spoločenské hry, knihy, komiksy, figúrky. 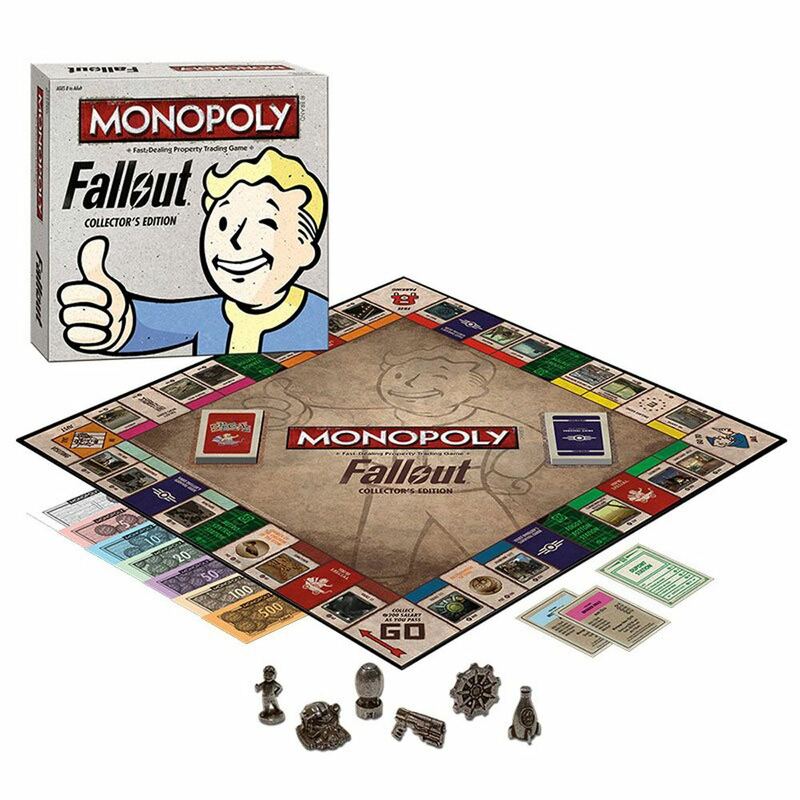 A Fallout thematic monopoly game. Welcome to the world of fallout, as the Overseer has hand picked you to venture beyond the safe confines of your Vault to explore a world destroyed by nuclear war. Do you have what it takes to rebuild civilization as you buy, sell and trade your way through the Wasteland to determine the fate of mankind ? Good luck and welcome home.